At first sight, Trioli is a colourful and decorative kids chair made of plastic with a seating height of 27 cm. After a vertical turn-around around the spindle, the seating height is 37 cm. 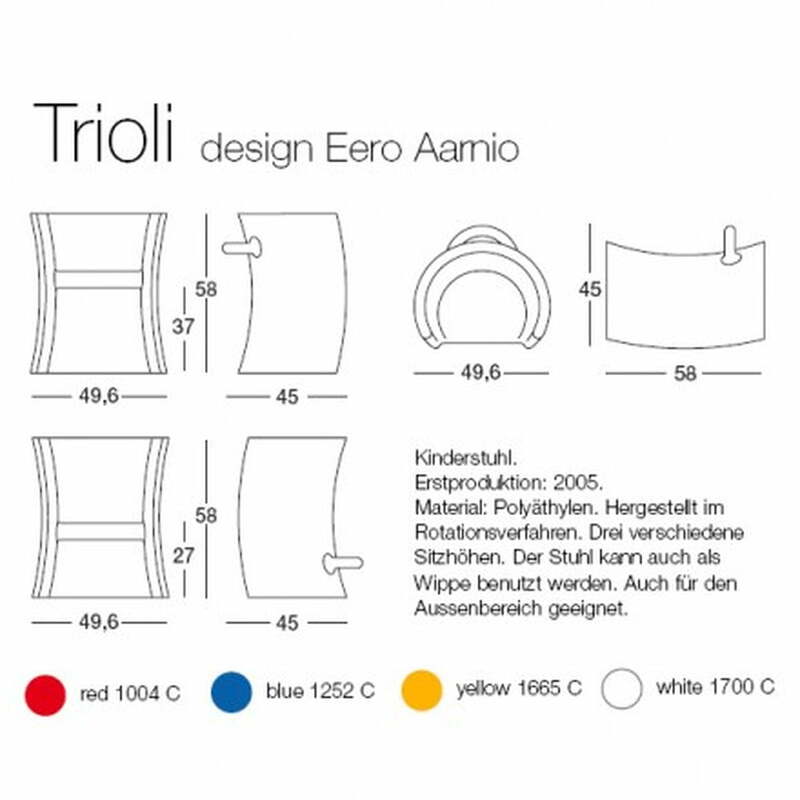 If Trioli is placed frontal on the floor, it is - due to the rounded sides – a perfect rocker with a seating height of 45 cm. 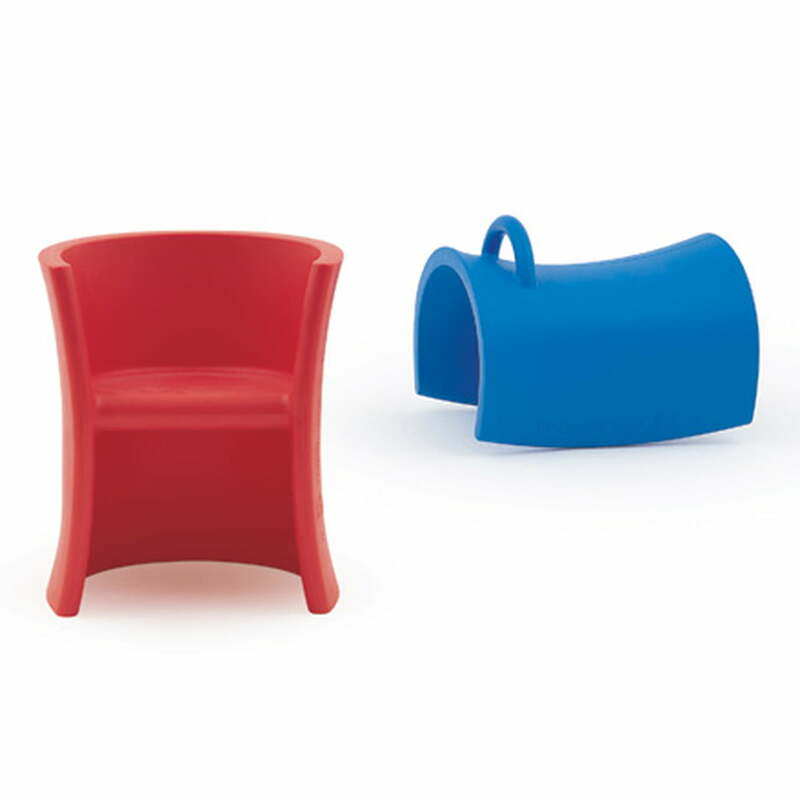 The multifunctional design of the colourful children's chair was created by Eero Aarnio who became world-famous with several plastic furniture objects. 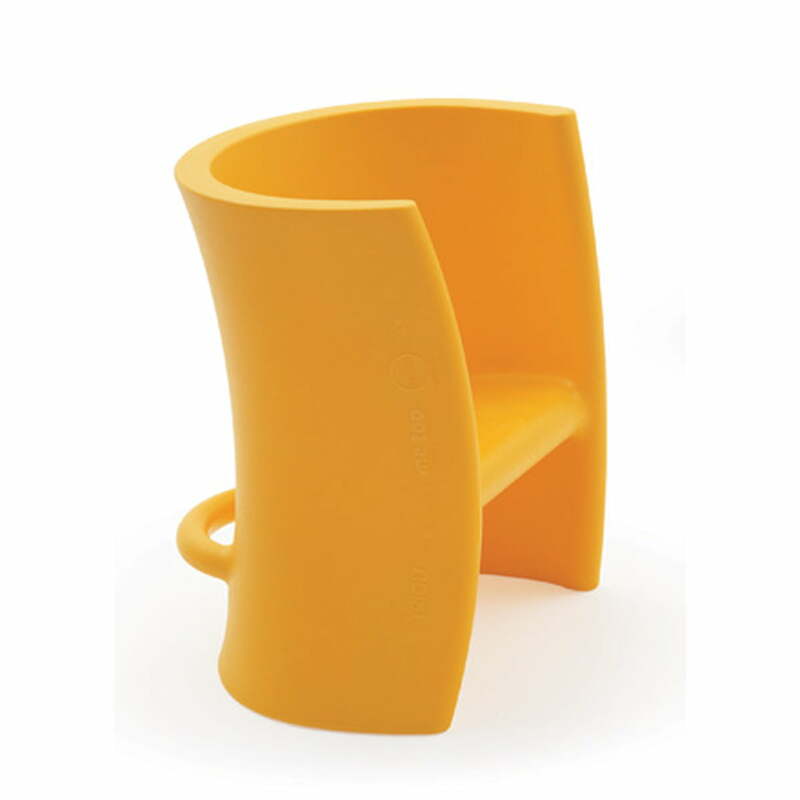 Trioli is since 2005 produced for the Magis Me Too children collection. 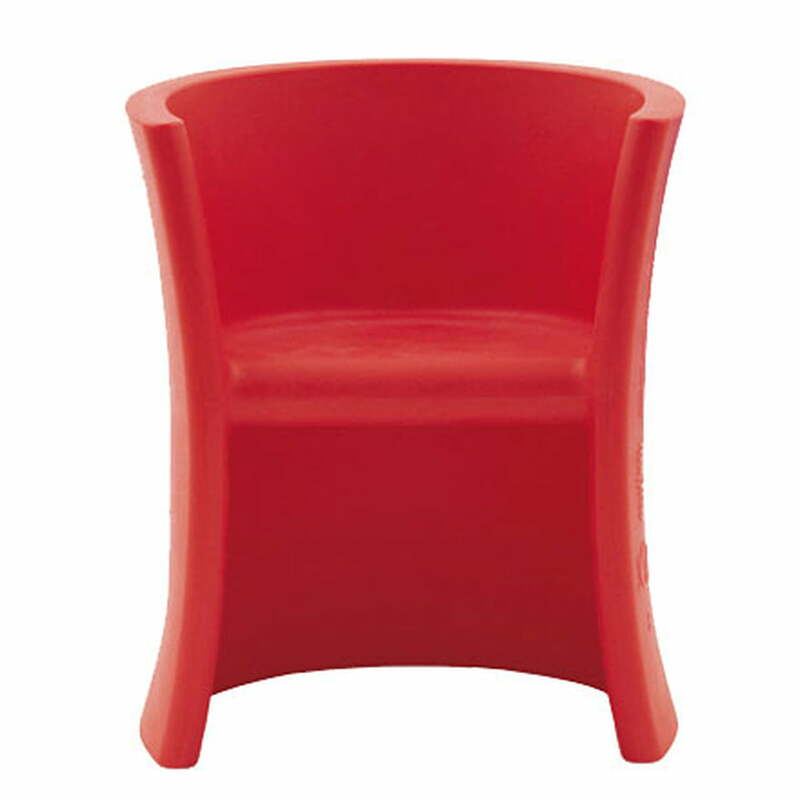 It is made of robust rotational molded polyethylene plastic. Trioli is suitable for the in- and outside and available in 4 matt different colours.